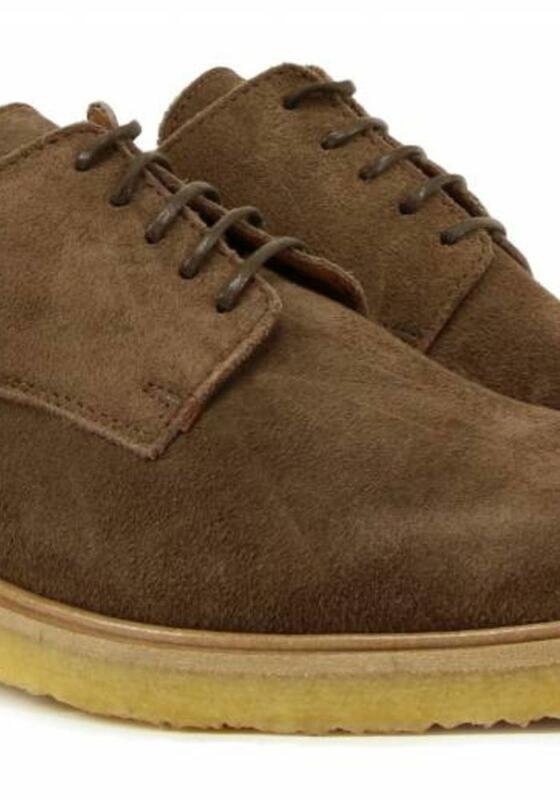 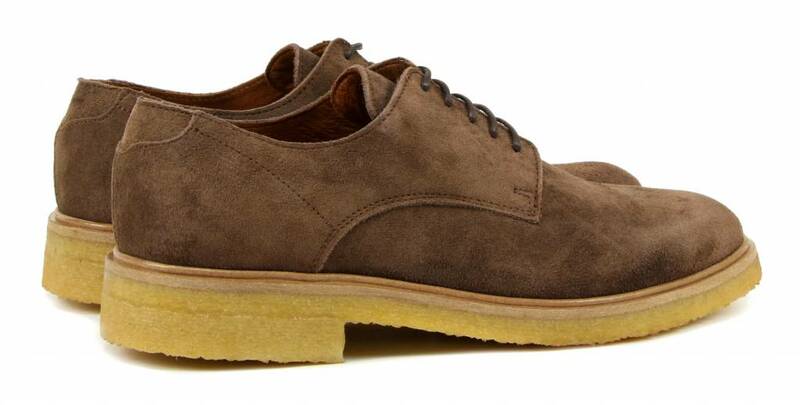 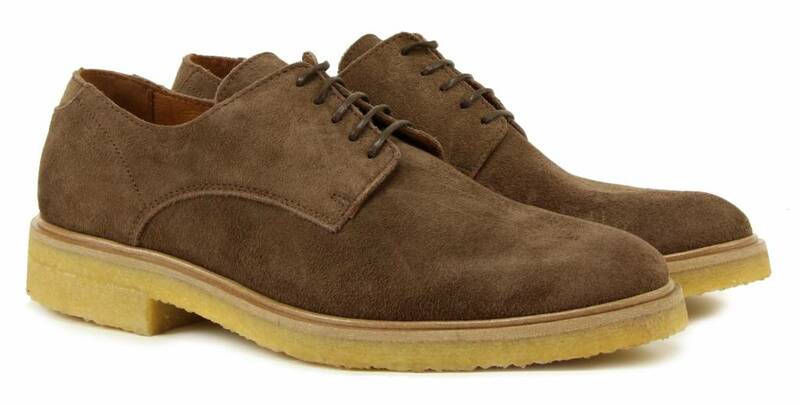 Low derby shoes in brown suede by Goosecraft, model Chet Derby. 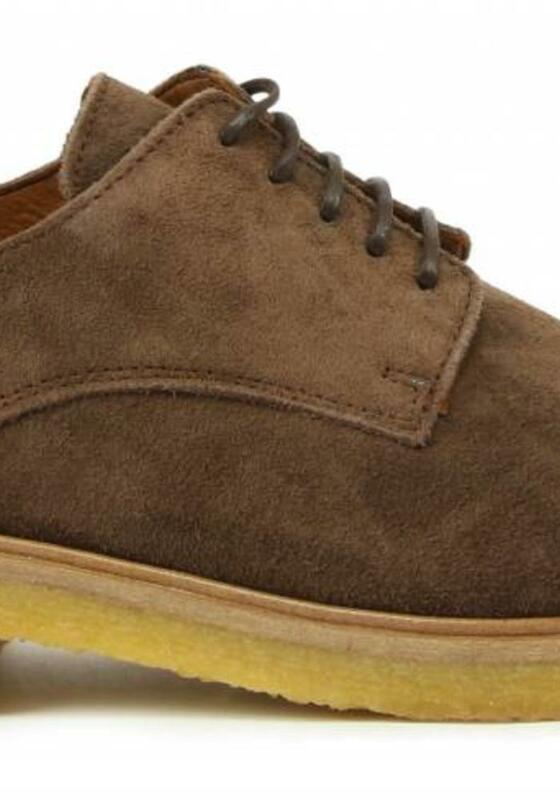 These casual lace-up shoes for men are made of the finest leathers, as we can expect from leather-brand Goosecraft. 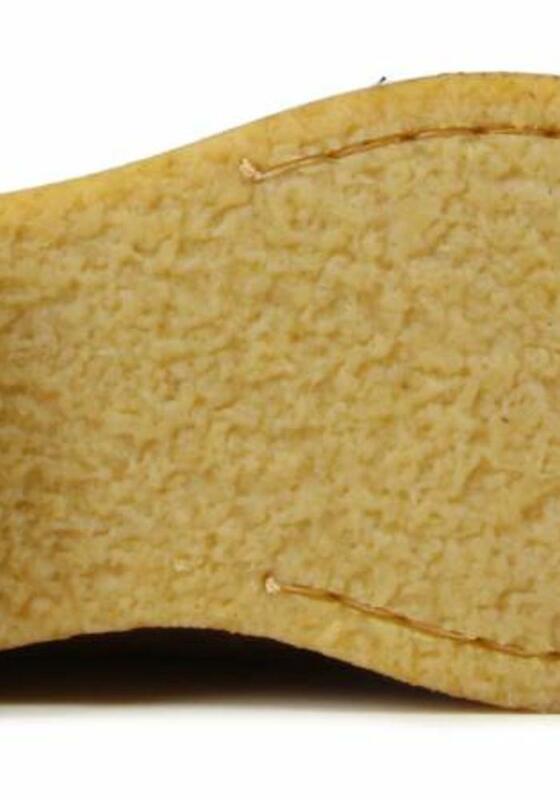 The inside is lined with soft and supple leather. 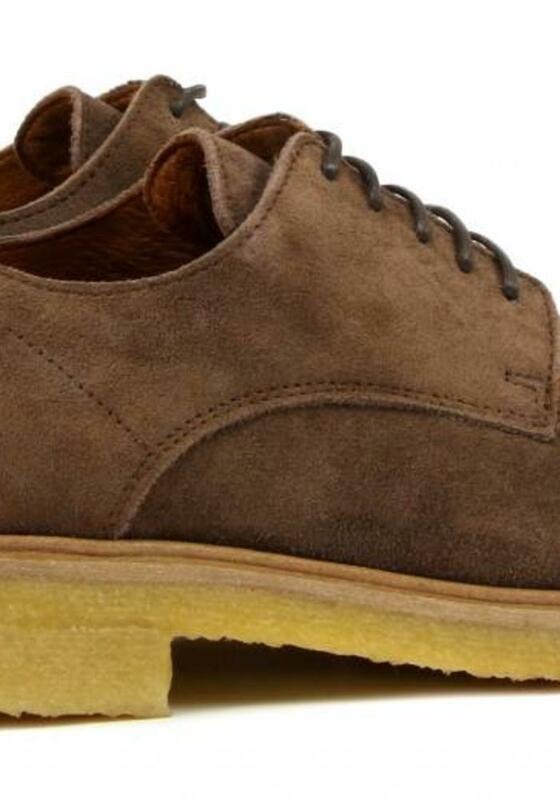 The thick crepe soles of natural rubber give these Goosecraft shoes an authentic look and provide extra cushioning.